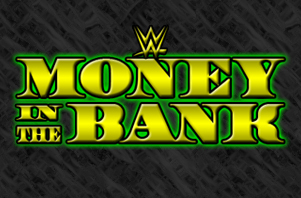 Home » Wrestling News » Rewind: 2014 WWE Money In The Bank Results (6/29) – Usos vs Wyatts, Who Wins Briefcase, WWE Championship? Rewind: 2014 WWE Money In The Bank Results (6/29) – Usos vs Wyatts, Who Wins Briefcase, WWE Championship? Click the links in the ticker above to jump directly to the desired match result! Share your thoughts and predictions on tonight’s show in the Disqus section below and we will feature the best comments! Harper runs across the ring but The Usos catch him with some side kicks, then Harper trips Jimmy in the corner and Rowan kicks him. Harper uppercuts Jimmy and Rowan tags back in, but Jimmy kicks him and Jey tags in and throws some uppercuts and goes for a crossbody. Rowan catches him but Jey breaks free and knocks him outside, then he splashes Rowan on the floor before hitting a top rope crossbody for two. Harper regains control and slams Jey on the floor, then he hits a slingshot senton for two before Rowan chokes him. He goes for a legdrop but Jey rolls away, then Harper runs in and attacks Jimmy before hitting Jey with a big boot for two. The Wyatts continue to use quick tags to keep Jey isolated, then Jey avoids a splash and sidesteps a tackle to send Rowan into the ringpost. Both men tag out and Jimmy connects with some thrust kicks, then he hits a crossbody and some clotheslines before following with a Samoan drop. Rowan runs in so Jimmy hits him with a Samoan drop too, then he splashes Rowan in the corner and hits Harper with a somersault dive off the ropes. Jimmy clotheslines Rowan out to the floor and superkicks Harper twice, but only gets two, then Jey splashes Rowan on the floor. Jimmy gets distracted by Rowan but comes back with a superkick for two, then Harper hits a sit out powerbomb for another near fall. Harper splashes Jey on the floor, then Jimmy tries to splash him, but Rowan grabs him and throws him into the barricade before rolling him back inside. Rowan tags in and assists with a double chokeslam type maneuver, but Jey breaks it up and Rowan sends him back to the apron. Rowan heads up top but Jimmy crotches him on the ropes, then he sets up a superplex but Rowan shoves him back so Jey tags in and they hit a double team superplex, then follow with two top rope splashes for the win! BP: Great opener. Both teams chose the right places for high spots and worked a good match. I liked the ending sequence with the double team superplex and following splashes.